Stainless Steel Instrumentation Fittings, for Industry, Size: 3"
Our Tube Fittings provide a leak-proof, torque-free seal at all tubing connections and eliminate costly, hazardous leaks in instrumentation and process tubing. Our stainless steel instrumentation tube fittings are precisely designed by our skilled professionals by using advance machines. These stainless steel instrumentation tube fittings are manufactured in compliance with the preset international norms. Moreover, these are leak proof and provide excellent sealing of pipes. Thread Size: 1/4" TO 2"
Duplex Steel Fasteners provide effective resistance against corrosion as well as also feature superior mechanical strength that makes these deliver optimum functionality in fastening applications. 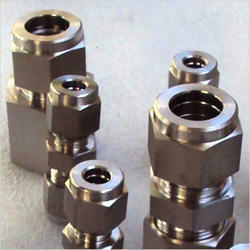 Tube fittings Manufacturer one of the biggest stock holder in INIDA. We make diffrence in fittings. These products are highly demanded by the clients for its durability and reliability. Easy to operate this range is known for its small size and light weight. Our enterprise is considered as one of the prominent manufacturers and suppliers of an excellent variety of Instrumentation Fittings . 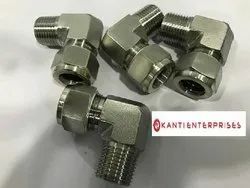 Under our diligent professionals' supervision, these fittings are manufactured using the best grade metal alloys with the help of modern technique.